However, current guidelines still seem to be somewhere in the middle of the issue. 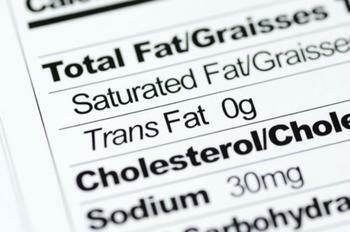 The Food and Drug Administration (FDA) currently allows up to 0.49 grams of trans fats to be present in a product without having to appear on the label, sending health-conscious food shoppers scrambling. To determine what effect trans fats were having on consumers, researchers from the University of Chicago and Yale School of Medicine conducted a study comparing consumers in areas where trans fats were banned in restaurants and areas where they were not. Even with this limited reduction, the researchers found that people who lived in areas with less trans fats had less hospitalizations for heart attack and stroke. "The results are impressive, given that the study focused on trans fatty acid bans in restaurants, as opposed to complete bans that included food bought in stores," said senior author Dr. Tamar S. Polonsky. "If we enact a more complete restriction on trans fatty acids, it could mean even more widespread benefits for people long term." The study used data ranging from 2002 to 2013 on New York counties that either had trans fat bans in place for restaurants or did not, focusing on hospital admissions for heart attack and stroke. The analysis showed that people living areas with bans had significantly fewer hospitalizations for heart attack and stroke three years after the bans were implemented when compared to urban areas that did not have a ban in place. The researchers say that overall decline in combined conditions was an impressive 6.2%. "It is a pretty substantial decline. Our study highlights the power of public policy to impact the cardiovascular health of a population," said lead author Dr. Eric Brandt. While the wheels of government are usually slow to turn on these issues, the researchers point out that the FDA has already approved a nationwide ban on partially hydrogenated oils in foods. This could be deeply impactful since the move would essentially eliminate dietary trans fat when it takes effect in 2018. The full study has been published in JAMA Cardiology.